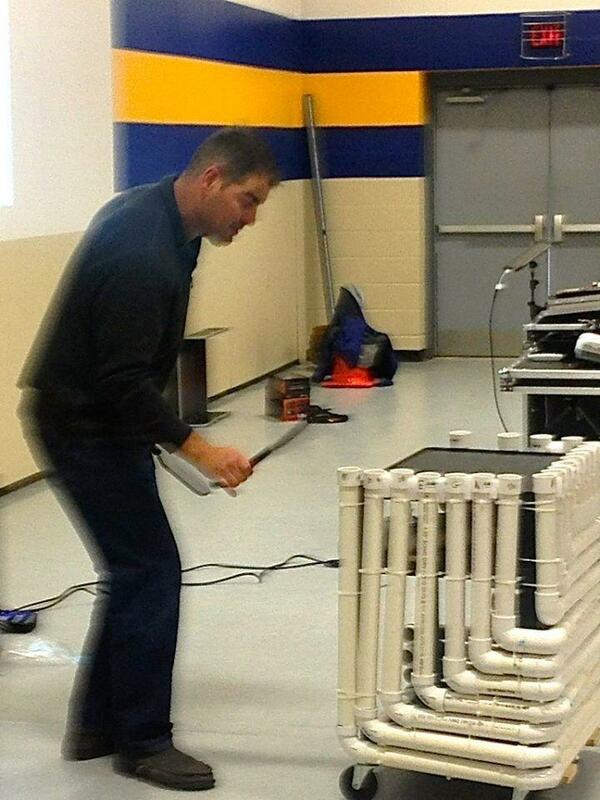 "I'm really supposed to be teaching the kids how to listen. Because no one is. They're not getting cues on how to listen actively and how to pay attention to each other, and what are good listening traits and bad listening traits – it's not coming from anywhere." We have a listening problem. One music teacher is out to conquer it. Mike Alberici is a music teacher at Maple Street School in Hopkinton, who was awarded the 2015/2016 Christa McAuliffe Sabbatical from the New Hampshire Charitable Foundation – an award that grants teachers leave to develop new ideas for classroom teaching, and covers all the costs of doing so. A few years ago, Mike realized there was a problem. His students could no longer sustain just listening. Not ten years ago, he could put on a Beethoven symphony and get kids to sit still for nine minutes – by 2010, they couldn’t do that. Mike did some experiments in his classroom, and noticed that the average time kids would listen to a song was about 45 seconds. Then they tired of it. On to the next song. Boring. On to the next song. 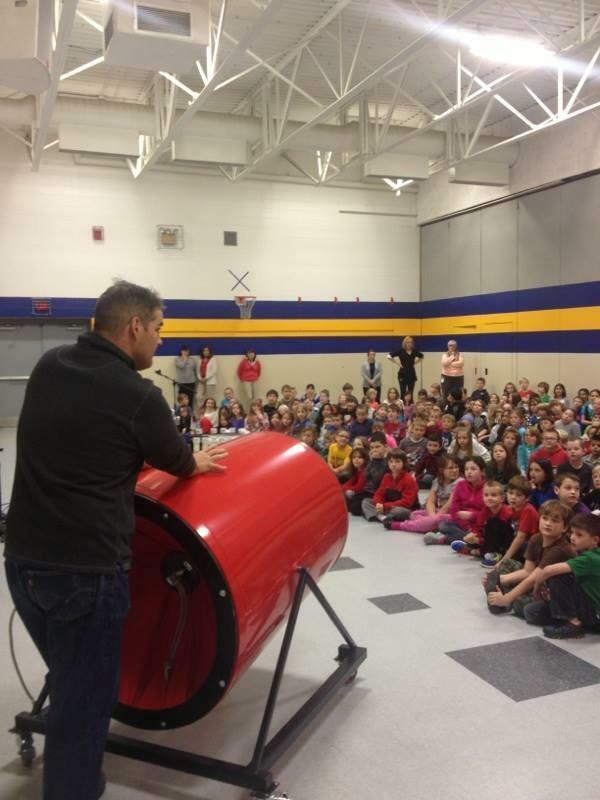 So Mike developed a program called Sound In Focus, which he takes to elementary schools across the state to teach kids how to be mindful listeners and better communicators. How does it do it? He blows their minds, with everything from a vortex cannon to a tubulum to a frequency generator to a fluid that he describes, wonderfully, as zombie snot. Why does listening matter? Listening is our access to understanding. It has an impact on the way kids communicate; with each other and with the world. "Give kids opportunities to listen. Make some time in your classroom." Surprising as it may seem, listening is actually part of the Common Core in New Hampshire. But as Mike explained, a lot of teachers just don’t have time for it anymore, since there’s such a predominant emphasis on standardized testing. Mike says that he’s hoping to continue with Sound In Focus next year, if he can find a sponsorship, since he’s only been able to reach half the schools interested in the program – and he had over 50 schools contact him ... within 48 hours. Schools, gradually, are realizing that kids just aren’t listening the way they once were. Let that be our challenge, and what we teach our children: to listen. 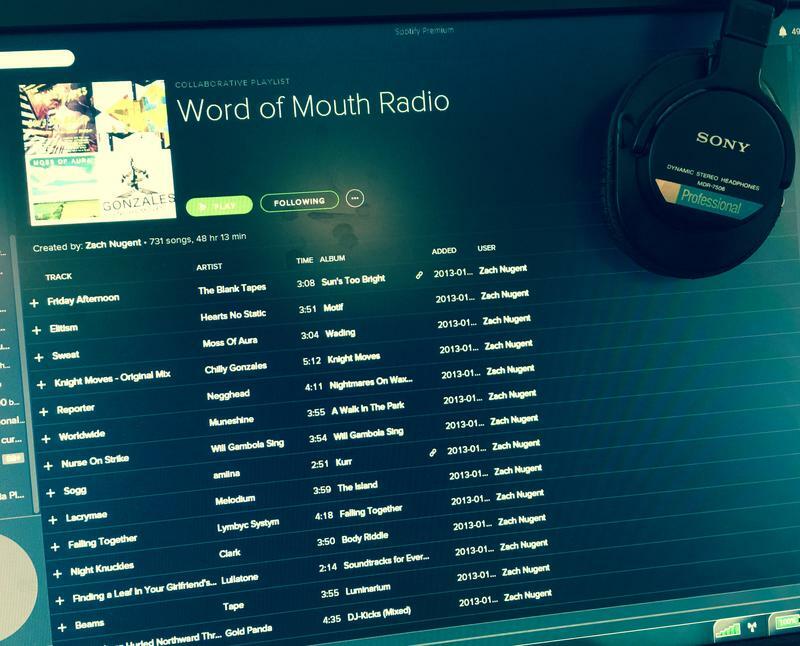 Do you like the music you hear between segments on Word of Mouth? You can listen to it again on Spotify. Check out and add Word of Mouth's playlist, which we update each week with the latest music we're using on the program. Wherever you live, whatever you’re into, human beings respond to music. Brain researchers have found that listening to music not only makes you feel good – it alters your brain physiologically. To find out more we, talked to Dr. Robert Zatorre, Neuroscientist at the Montreal Neurological Institute at McGill University.